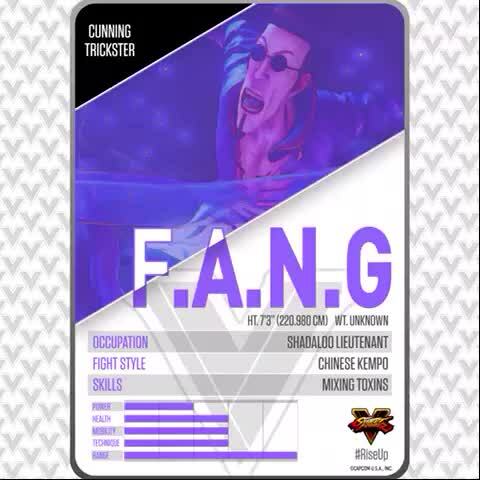 Capcom just revealed the last fighter in the SFV launch roster, F.A.N.G! I don’t know any more details about him besides this video now, but I will update this page as they become available. 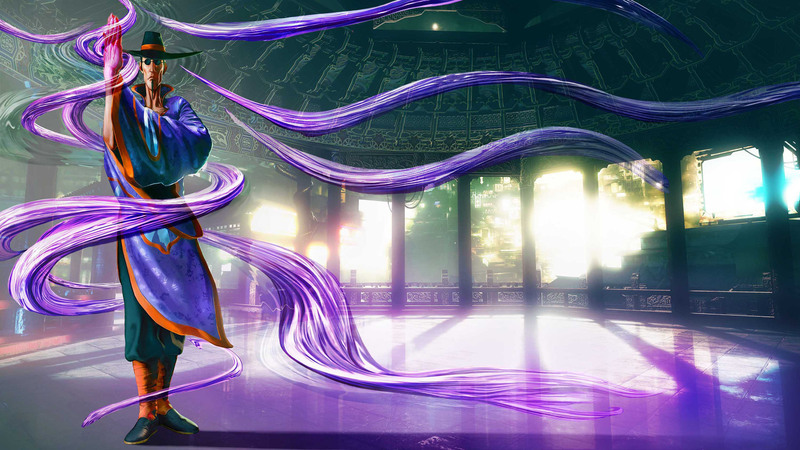 Update: Capcom has revealed that he is a member of Shadoloo, second in command (replacing Sagat according to the status in his background). He has a (v-skill) projectile that poisons his opponent, dealing damage for an account of time after it hits you, unless you hit him to end it. He also has a move (v-trigger) that surrounds him with a poison cloud that damages you just to be in it.